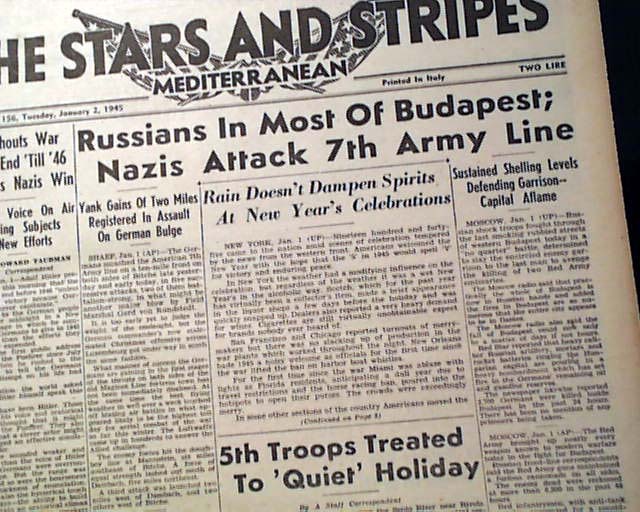 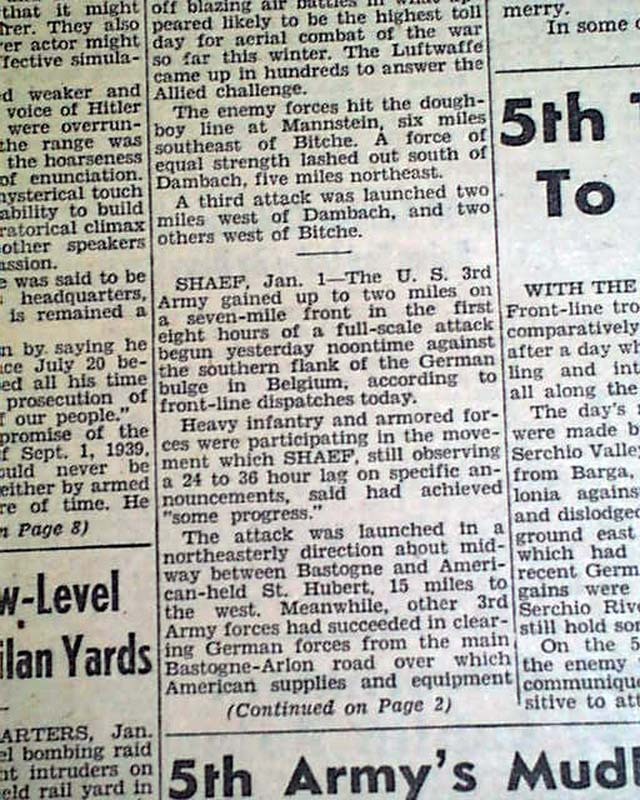 The front page has a four column headline: "Nazis Attack 7th Army Line" (see) Nice to have in this famous military publication. 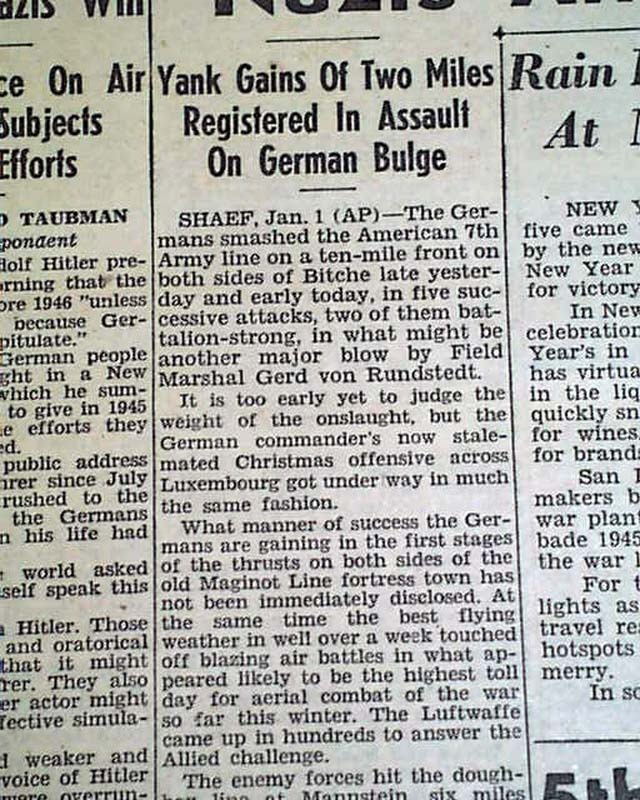 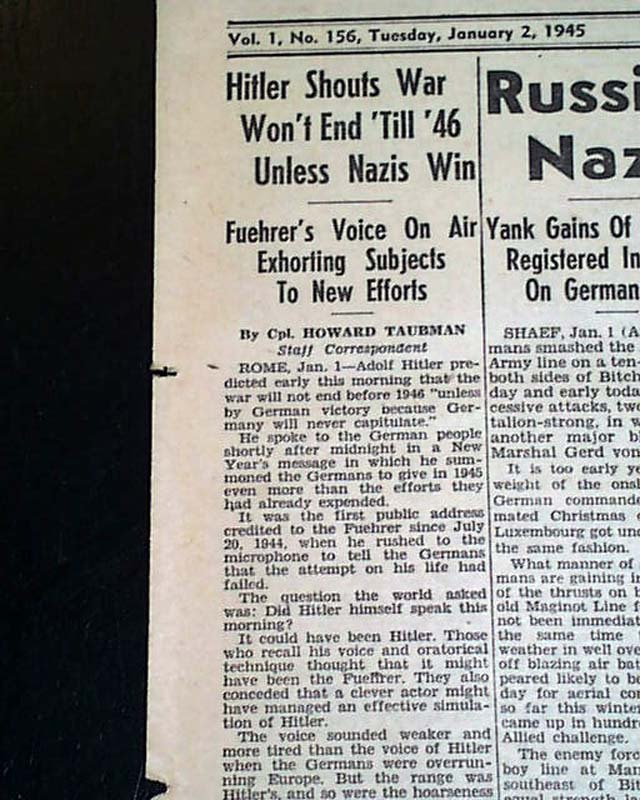 Other World War II news of the day. 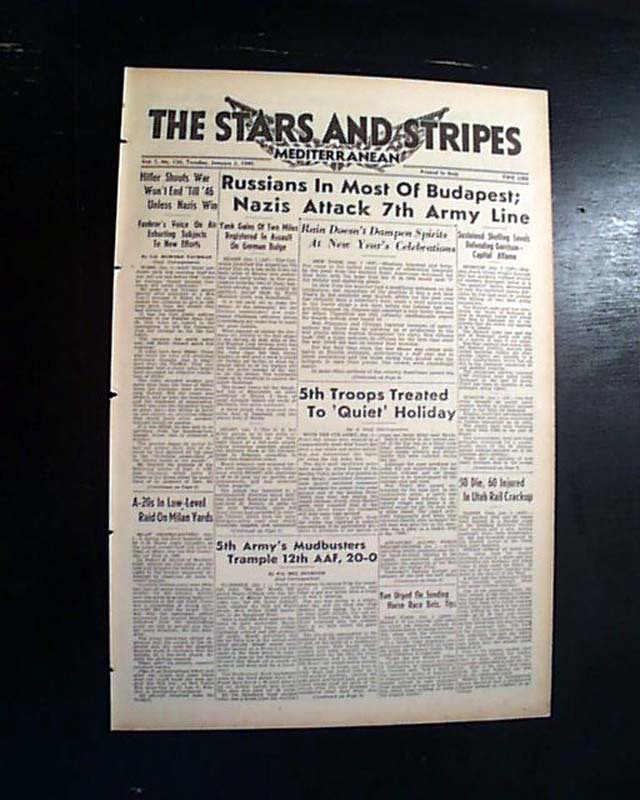 Complete in 8 pages, nice condition.